My worlds never turned out, while Its planets littered space like marbles that should have lost their worth for their superabundance. Instead they gained value according to their exponential increase in comparative uniqueness. My worlds were so dense they ate themselves, or they became gaseous emissions whose slimy, wandering cores tore them apart. It whispered that my worlds lacked meaning. Gently I regained my infinite expansiveness. Behind me was Its familiar presence. Yet I found myself wondering if the presence was a He or a She. To find out, I created a world. 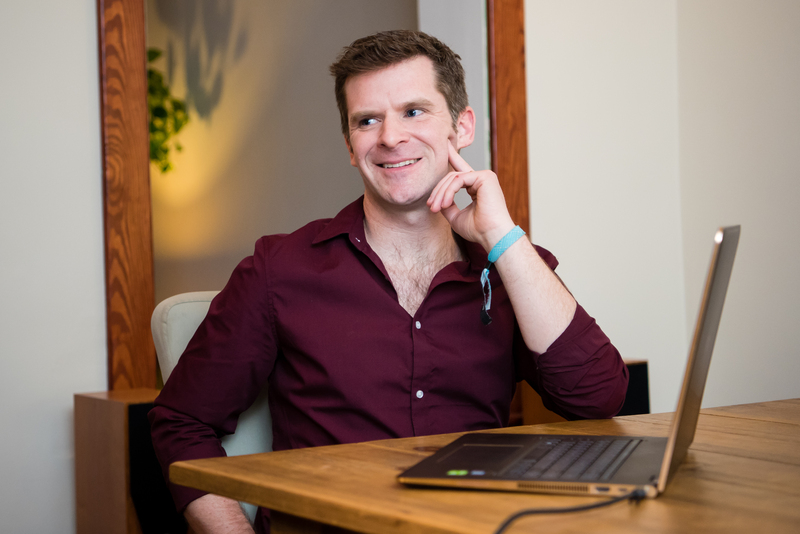 James Moran is a practicing astrologer from the Washington, D.C. area who uses the tool of astrology to help entrepreneurs take the right actions at the right time in order to grow their businesses. James is also a sculptor and a writer who occasionally has his work published in wonderful journals such as ANGLES. His second most recent publication was in the fall 2018 issue of Anomaly Literary Journal.